Co-branding is a type of marketing that relies on forming strategic partnerships to increase brand awareness. Frequently used with consumer goods, fashion, and the automotive business, co-branding is also effective for service-related industries, including mortgage lenders. Also known as strategic partnerships, the practice of co-branding is extremely effective at strengthening brand recognition for both parties while creating more customer interest in the products and services offered. Use these three tips to put co-branded mortgage marketing to work for you. Your preferred partners’ target markets should be the number one priority on your co-branding checklist. For the partnership to be worth it, your target customers should have a substantial overlap with theirs. Are both of your products and services used by both sets of customers? It’s important to have a good idea of the potential return on investment before putting resources into a co-branding arrangement. To determine how much of a market you can tap into by partnering with another brand, analyze the type and quality of reach a partner has. Does the brand resonate with the market it targets? Does the partner have a good reputation in the community? Brands are judged by the company they keep. 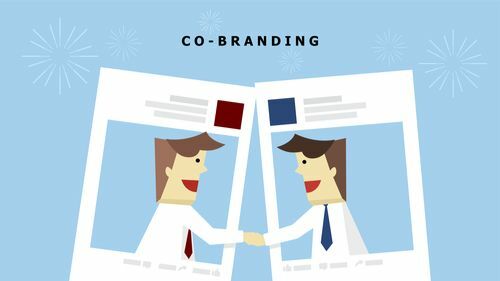 The ideal co-branding partner falls in line with your organization’s positioning and core values. Some of the best partners for mortgage lenders are realtors. Realtors recommend your lending services to potential buyers and your customers who are looking to buy a property are referred to the realtor. Both partners gain new leads and customers, and those customers are happier because they’re referred to someone they can trust. Co-branded mortgage marketing is an excellent strategy for increasing brand awareness and cutting costs. Use direct marketing pieces that incorporate co-branding as part of your overall marketing strategy to provide a better experience to your customers and grow your bottom line.